Through the years, a number of movies have featured brilliant automobile chases and stunts. It’s often said that a car is only as good as its driver, so it’s important to check out the people behind the wheels. Here is a select list of several great movie drivers, ranked by their amazing skills, attitudes and chase scenes in the movies they appeared in. Actor Steve McQueen played Frank Bullitt, a lieutenant responsible for the safety of a well-known organized crime boss informant. After the informant was killed, and it was up to Bullitt and his team to investigate. While in his 1968 Mustang GT390 Fastback, Bullitt was trailed by a hitman in a Dodge Charger R/T. A high-speed chase ensued through the narrow and windy roads of San Francisco onto a California highway. Throughout the ride, Bullitt remained silent, his face filled with determination. His quick steering and ability to swerve around tight curves added to the brilliance of the performance. In the end, Bullitt and his Mustang forced the enemy off the road. To make the scene even more exciting, the producers made sure the car hits a gas station and explodes into a fiery mess. This chase scene was etched into the minds of film buffs. The pure fierceness captured in the movie has never been duplicated, and it is unlikely to be seen again. McQueen planned on performing all the stunts himself. However, he overshot a turn and almost caused a devastating crash, so a stand-in was used. The Mustang was chosen for the movie because the producers felt that it looked like a real cop car. 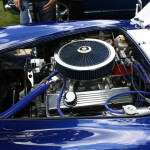 The vehicle included a 302 cubic-inch V8 engine that produced 230 horsepower. The car was modified so that it would last through the numerous jumps and turns. The suspension and shock tower were reinforced and an aftermarket high-performance ignition system was added to the engine as well. Jimmy Doyle was played by Gene Hackman in “The French Connection.” This character was a police detective running a 1971 Pontiac LeMans after a drug smuggler who commandeered a New York overhead subway train. Throughout the chase, Hackman’s character never uttered a word, but his expressions spoke volumes. As he intently followed the train, his face was filled with anger at the traffic. Even after being side-swiped numerous times and smashing into various places, the car appeared crumpled but kept pursuing the criminal. The five-minute chase was filmed on busy streets with little traffic control. Unsuspecting drivers and pedestrians were in the middle of authentic high-speed action. The brown Pontiac LeMans was a four-door sedan with a four-speed transmission. A duplicate was made without a backseat so that cameras could capture different shots. The original car was kept intact so that exterior pictures were possible. Hackman did most of the driving, but more dangerous stunts were performed by Bill Hickman. Since the scenes were extremely reckless, navigation had to be quick. A combination of great driving and creative editing resulted in unsurpassed scenes packed with action and excitement. The plot of the movie is simple. A former police officer entered a bet he could drive a car from Denver to San Francisco in 15 hours. Although “Vanishing Point” starred Barry Newman as Kowalski, the true celebrity was the 1970 Dodge Challenger R/T 40. Newman didn’t perform his own stunts. Behind the wheel was Cary Loftin. The featured “Alpine White” Challenger had a four-speed manual transmission and a high-performance 440 Magnum engine, which provided 375 horsepower. Newman is seen feverishly grabbing his pistol grip shifter as he evaded the police. Five cars were used to tape the multiple chases across the Southwest, but the final scene was the most dramatic. With his adrenaline pumping, Kowalski had to pass a roadblock comprised of two bulldozers. He approached high speed, flashed a fearless smile and crashed into a fiery explosion. In the last shot, an engine-less 1967 Camaro was used in place of the Challenger. Since the car went up in flames, no one knew the difference. Rob Scheider starred as Buddy Manucci, the leader of a plainclothes squad of police officers who used unorthodox methods to catch criminals, and charges usually led to jail sentences of at least seven years. Similar to “The French Connection” and “Bullitt,” Bill Hickman developed the chase scene for this movie. Scheider pursued criminals in Upper Manhattan while driving his 1973 Pontiac Ventura Sprint coupe. Although the actor did perform some of the scenes, most were completed by stunt double Jerry Summers. The car had a three-speed transmission and a 350 cubic-inch V8 engine. The driver didn’t perform any fancy feats, and there was an abundance of oversteer and hesitation. The sequence was packed with action, without the usual over-the-top maneuvers, dialogue or dramatic music – it captured the essence of the chase perfectly. Who doesn’t recognize the iconic “Blues Brothers” characters made famous by Dan Aykroyd and John Belushi? Throughout the movie, the men were on a “mission from God” to save an orphanage from being closed. They gathered their old band and performed a fundraiser. Along the way, they ran from “destructive” individuals and the police. 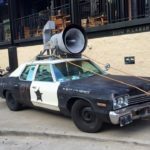 The entire plot was one giant chase that involved the “Bluesmobile,” a 1974 Dodge Monaco sedan. The car was described as a “440 cubic-inch power plant.” With its cop tires, suspension and shocks, it had everything it needed to perform incredible stunts. During the making of the movie, there were 13 Bluesmobiles driven by over 40 stuntmen. The cars were purchased as retired police vehicles, reinforced with safety-cages and patched throughout shooting. The final pursuit occurred as the brothers raced to Chicago, crashed through the Richard J. Daley Center and landed at the county tax office. Even though the actors kept a calm demeanor through the extensive chase, they exited the vehicle looking puzzled when the car fell into pieces before their eyes. This iconic scene became so popular that it was later recreated with LEGO blocks. It’s the attention to details that makes “Ronin’s” chase scenes so special. Robert DeNiro’s character was an ex-CIA operative in search of a rogue agent. At the end of the movie, he was forced to participate in a nerve-tingling chase through the city streets of Paris in a Peugeot 406, while the enemy drove a BMW M5. Realism was maintained by filming each chase sequence in one go. There were no spontaneous explosions or cars flying in the air. Viewers can hear the 6-cylinder engines being properly revved before gear changes and enjoy the smoking tires when the drivers down shift and perform power slides by using hand brakes. Approximately 150 stunt doubles were used throughout movie. Certain cars reached speeds over 120 mph, and 80 cars were completely wrecked. Most viewers would agree the most memorable scene from “The Bourne Identity” was when assassin Jason Bourne, played by Matt Damon, drove a 1965 Austin Mini Cooper through the streets of Paris to evade the CIA and police. Alongside his love interest, he raced the tiny car through narrow alleys and across sidewalks. The camera remained focused on the girl’s horrified face. Bourne remained calm and rarely spoke through the ride, except to warn his passenger about a “small bump” that would turn out to be a descent down a large mass of outdoor steps. The chase finished as Bourne successfully evaded everyone and managed to park safely in an underground garage. The car was equipped with a four-speed gearbox and an engine that produced 65 horsepower. Its top speeds were estimated to approach 95 mph and could go 0 to 60 mph in 12.3 seconds. Despite the stats being those of a regular car, Damon performed many of the stunts himself and impressed the audience. Who is your favorite movie driver? We wish to hear your opinion on the mentioned screen drivers. Do you have a suggestion for our list?